Are you looking for roof installation in NJ? North American Pfister is a fully licensed and insured roofing company in NJ that provides roof installation and roofing replacement for many years with precision and great customer satisfaction. Our skilled roofing craftsmen have over 40 years of experience and plenty of knowledge, making roof installation in NJ a seamless process. Our roofing products and installation services will increase your property value and improve the appearance and infrastructure of your existing roof. The roof is an extremely important part of your home, and we're sure you already know that. We do too. This is why we provide high quality and professional roof installation in NJ to ensure your home has a beautiful roof that provides protection from the elements for years to come. We perform roof installation on a variety of shingles and types including asphalt shingles and fiberglass shingles. Great roofs are built from great roofing products. 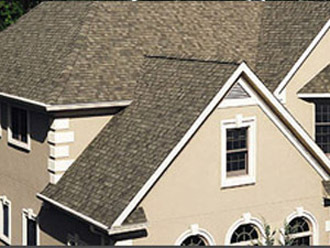 North American Pfister uses carefully selected roofing products from well-known roofing brands such as GAF Roofing, CertainTeed Roofing, and TAMKO Roofing. We will guide you and help you chose the right roofing products for your specific home needs and make sure that you make an informed decision while choosing the products for your new roof. Ask us about GAF roofing installation in NJ! A roof should last you about 25-30 years before needing repair or new roof installation, but this of course depends on where you live and the weather your roof is exposed to. Once time has gotten the wellness of your roof, you’ll begin to see that your roof is in need of new installation to continue protecting your home. Some signs that you may need a new roofing installation include missing, cracked or broken shingles, water leaking and staining, shingle decay and peeling paint. When you notice any of these symptoms, it is time to for new roof installation in NJ. Not only does roof installation provide proper protection from the elements, but the aesthetic beauty adds personality and/or resale value to your home. We use leading roofing products including GAF shingles, winner of various awards through the years, to complement our own professional roof installation methods. There is no set price for this job. Each roof has its own specific problems, and we need to evaluate it in order to determine the right price. By speaking with one of our New Jersey roofing experts, we can give you a free roofing estimate on your roof installation in NJ. For more information, please call us today at (201) 794-1422. 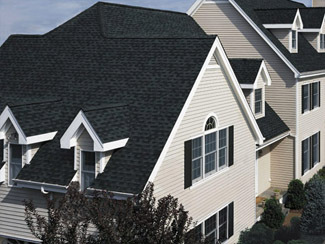 North American Pfister - Your experts in roof installation in NJ.